1000 stickers plus over 50 activities: colouring, puzzles, doodles, dress-up. Nose to tail magic. They might have ‘little’ in their name, but don’t be fooled. When these ponies do fun, they like it large. Big parties, big magic, big surprises. 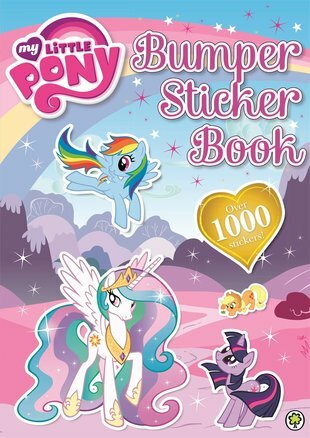 And now a truly bumper sticker book that’s way bigger than the rest. Join Twilight Sparkle and her pony pals for hours of magical fun in the enchanted kingdom of Equestria. Puzzles, colouring, dressing-up, doodles, games and loads more.